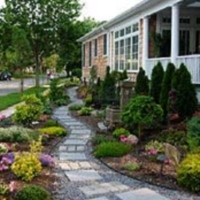 Enjoy a relaxing stay at one of the top bed and breakfasts in NY. See our list of the best bed and breakfasts in NY before planning your weekend or romantic getaway. 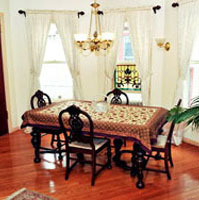 Find information about booking advanced reservations at one of the best bed & breakfasts in NY. A NY Bed & Breakfast with some of the Best Amenities! Spend a romantic weekend getaway in Long Island at Arbor View Bed and Breakfast! Arbor View sits on the North Fork of Long Island Wine County and offers a peaceful and relaxing getaway with beautiful views! For 13 years Arbor View has been providing couples with one of the most beautiful and relaxing stays with all the amenities and accommodations you are looking for! Enjoy a full 3 course gourmet breakfast each day, friendly concierge service and a warm, comfortable home. Choose between 4 unique yet equally beautiful rooms. The Champagne Suite is their largest room with a king-size bed, private bathroom with a whirlpool tub, private deck, flat screen TV and gas fireplace. Perfect room for a romantic weekend getaway! 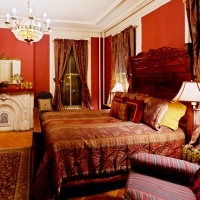 The Merlot Room reflects Victorian times, has a private bathroom, queen-size bed and electric fire place! The Rose Room and Zinfandel Room both overlook the beautiful gardens and allow for a quiet, peaceful New York getaway! Arbor View House does two things exceptionally well, Bed and Breakfast! Some of their many features with your accommodations include air conditioning, fresh towels every day, Posturepedic & Shifman beds, robes and slippers in each room! Enjoy fireplaces, flat screen HDTVs, cable and DVD players. Enjoy private luxury bathrooms, Wi-Fi and a private deck! One of the best features of Arbor View Bed and Breakfast is the spa services! Spend the day relaxing and getting pampered. Enjoy one of several massages; they have Swedish Massages, Couples Massages, Maternity Massages & Sport Massages. They also have specialty spa services upon request. Winner of Trip Advisor's “Circle of Excellence“ award in 2010, 2011 and 2012! A Great New York B&B with an Old World Flavor! Built at the turn of the century, the Bronx Guest House still retains all its old world flavor--with gas fixtures and original moldings in some of the bedrooms. Inside you'll find three guest bedrooms, all of which have a shared bath. Each room contains a distinctive decor. Your hostess will prepare such delicious specialties as raw beets over mixed greens, raw zucchini over peanut, cowboy caviar and baba ganoush, and sun-made fresh mint tea. Area attractions within walking or driving distance include The Bronx Zoo, Orchard Beach, the Bronx Opera & Symphony, the Bronx Greenway, New York Botanical Gardens, and Mount Vernon Museum. You'll also find many opportunities for golfing, horseback riding, sailing, swimming, and tennis in the area. A "Home Away from Home" in NY! Mi Casa Tu Casa is perfect for those seeking the intimacy of a home away from home, while staying in NYC. The classic home was constructed in the 1800's and contains three floors. The second and third floor each contain two bedrooms and a bathroom. The bottom floor includes a bedroom, bath, common area, and a kitchen/dining area. Next to the kitchen you can gain access to an outdoor garden. The entire house possesses a unique, Latin-American flavor, and it shows in the way each room is decorated. 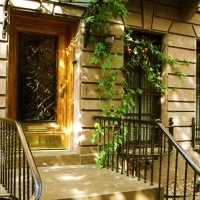 The New York bed and breakfast is only minutes away from Manhattan, with the subways only two short blocks from the house. You'll also be within walking distance of such attractions as the Center for the Arts & Culture, PREGONES Theater, Yankee Stadium, Gate Way Mall, Mill Pond Waterfront Park, and The Bronx Museum. 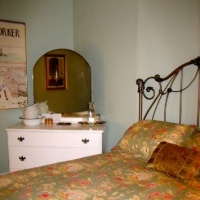 One of the Top Rated Bed and Breakfasts in NY! An upscale B&B owned by a husband and wife team, Akwaaba Mansion opened to rave reviews in 1995. Guests have come from near and far to stay at this elegant mansion. 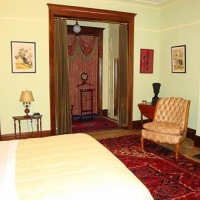 The NY bed and breakfast features 14-foot ceilings, ornate fireplaces, parquet wood floors, and gaslight fixtures. Plus, you'll be treated to such modern amenities as private baths and oversized Jacuzzi tubs. The owners' restoration of the mansion was even featured on the HGTV show Restore America. The bed and breakfast is nestled in a quiet tree-lined community and conveniently located only 15 minutes away from Manhattan. Feast on a hearty Southern breakfast in the dining room. Relax in the secluded garden. Or enjoy a soothing massage in the comfort of your room! A Charming, Elegant B&B in New York! A three-story Victorian home built in 1904, The Lorelei will transport you a time of charm and elegance. The parlor, sitting room, and dining room feature beautifully restored furniture, accented by beveled glass French doors. All guest rooms contain air-conditioning, beautiful private bathrooms, deluxe mattresses and fine quality linens, tasteful Victorian-style furnishings, TV with cable access, and free wi-fi. A free continental breakfast is included in your stay. The B&B is conveniently located only two blocks away from the NY subway, and only one block from the bus. In only 25 minutes you can enjoy a sightseeing trip through Manhattan you will never forget! A Gorgeous, Peaceful B&B in New York! The Mill House Inn never fails to provide its guests with the finest lodging and hospitality. Located in a historic ocean village, the luxury bed and breakfast features beautiful rooms and spectacular child/dog friendly suites. Plus, you'll wake to the most delicious breakfast in the Hamptons! The New York bed and breakfast has earned great press from such reputable sources as Zagat, Travel & Leisure, New York Magazine, and American Historic Inns. During your stay you will be surrounded by wonderful ocean beaches, pristine bays, and picturesque country roads. In the area you'll also find world-class restaurants, shops, galleries, and theaters. One of the Most Romantic B&B's in NY! Constructed in 1908, The Bartlett House B&B showcases 10 attractive guest rooms (8 of which include private, newly renovated baths), as well as beautiful gardens and a lovely wrap-around porch. Warm up by the romantic fireplace in the living room or in the Master Bedroom. Over the years the Inn has hosted several reunions, business retreats, meetings, wedding parties, and other special events. Amenities include high-speed wireless Internet, flat panel TV's, European linens, and luxurious mattresses. The B&B is only 5 minutes away from several great restaurants, boutiques, and galleries in the area. If you're a wine connoisseur, many of the local vineyards and tasting rooms are only a 2-20 minute drive away! If you're a golfer, the East End Golf Course is merely a 5-minute drive away. A Charming Bed and Breakfast in New York! Situated within a charming brownstone in NY, the Harlem B&B will reward you with a lodging experience that you won't soon forget! Choose from 13 guest accommodations, three of which include private baths. Amenities include air conditioning, amenities baskets, alarm clocks, board games, CD players, coffee/tea facilities, DVD players, refrigerators, hairdryers, ironing boards, microwaves, and radios. At 9 A.M. wake up to a delicious continental breakfast, including some of the best croissants and baguettes in NYC! The B&B is close to all public transportation, with easy access to all airports and train/bus stations. Plus, you'll be only a short walk or bus ride away from Museum Mile and Central Park. The innkeepers are multilingual in English, French, and Spanish. An Intimate B&B in the Big City! A family owned and operated bed and breakfast in New York, The Inn on 23rd offers a special way for travelers to enjoy the city. Enjoy all the conveniences of a fine hotel with the intimacy of home. Within this delightful restored townhouse you'll find comfortable accommodations and fascinating artwork. The five-story home contains 14 unique bedrooms, all accessible via elevator. Each specially themed room contains a private bathroom, air-conditioning, and comfy mattresses. All rooms are equipped with free high-speed Internet access, Satellite TV, irons/ironing boards, hair dryers, alarm clocks, and bath amenities. If you're an international visitor; the innkeepers are multilingual in English, German, Portuguese, and Spanish. Choose from Four Spacious, Affordable Suites! Built in 1888, the Mount Morris House finely displays the Gilded Age's spectacular architecture. The B&B faces Mount Morris Park, one of the oldest parks in Manhattan. Choose from four nice, spacious suites--all of which are available for affordable prices. All rooms include private bathrooms, pillow-top beds, plasma HD cable TV's, radios, alarm clocks, free wi-fi, hair dryers, irons/ironing boards, and maid service. The house is only minutes away from Central Park and close to all major transportation in the area. You'll also find many great restaurants, bars, shops, and cultural attractions in the immediate area. 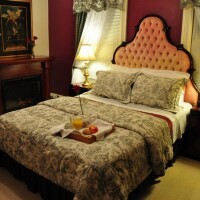 See why the top New York bed and breakfast earned the 2011 Certificate of Excellence from TripAdvisor.com! One of the Friendliest Bed & Breakfasts in NY! 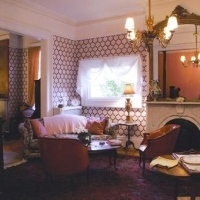 One of New York's finest and friendliest bed & breakfasts, the Harlem Renaissance House is a Neo-Italian style townhouse on a tree-lined block that was created by world-renowned architect Stanford White. Common areas include a kitchen, living room, breakfast foyer with piano, formal dining room, reading library, and a relaxing parlor with a balcony. Your room will include full private bath accommodations, free wi-fi, cable TV, and 24-hour concierge service. Plus, you'll be treated to a free continental breakfast with fresh fruit. 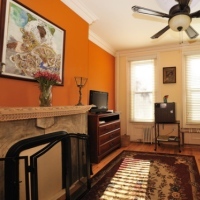 The NY B&B is only a short walk away from three subway stations in the area. Neighborhood attractions include the Apollo Theater, the Studio Museum in Harlem, and the Schomburg Center for Research in Black Culture. You'll also be near several fine dining establishments. Warm Hospitality and a Tasty Country Breakfast! An elegant house on the North Shore of Staten Island, the Victorian Bed & Breakfast is a fine Italianite Villa that was built in 1846. Inside you'll find chandeliers, mirrors, and many pieces of furniture that reflects its original Victorian decor. Guests will enjoy warm hospitality and hearty country breakfasts. Guest accommodations include two romantic rooms with a bath on each floor, perfect for romantic getaways. The bed and breakfast is only a 15-minute bus ride from the Staten Island Ferry, making it convenient for all travelers. Check the website to read a series of glowing testimonials from the B&B's guests. A Great Victorian B&B overlooking Manhattan! 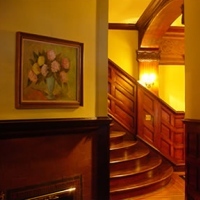 Overlooking Manhattan and the Verrazano Bridge, the Fort Place Bed & Breakfast is a lovely Victorian home with charming fireplaces and cool art deco furniture. The house consists of two private floors, each with two bedrooms and a bath. The upper floor contains a skylight bath with a beautiful view of the Verrazano. Amenities include refrigerators, parking, free wi-fi, and continental breakfast. 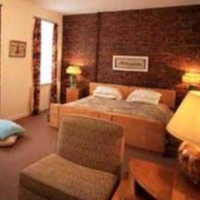 The B&B is conveniently located, only two blocks away from the ferry to Downtown Manhattan. A non-refundable one-day reservation fee is required. If you need any more information, call 718-772-2112 or send an e-mail to info@fortplace.com. 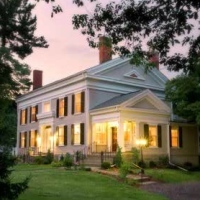 A luxury New York bed & breakfast, the Halsey House is perfect for romantic getaways with graciously appointed common rooms and five luxurious guest rooms. The B&B features such amenities as free wi-fi, flat screen HDTV's, and private baths with large walk-in showers and/or two-person whirlpool tubs. And you get to begin each day with a scrumptious gourmet breakfast! Enjoy a stay in the beautiful Finger Lakes region--known for its stunning scenery, expansive lakes, gorges, waterfalls, and scenic wine trails. Outdoor recreational and sports activities include golfing, hiking, bird watching, boating, and swimming. Plus, you'll be near several fine theaters and local restaurants. Uniquely Furnished Rooms with Comfy Beds! If you're looking to explore the rich history, ambiance, and attractions of Downtown Albany; The Morgan State House Inn is the perfect bed and breakfast for you! As one of the top bed and breakfasts in New York, the house serves as an excellent example of late 19th century elegance and design. In each uniquely furnished room you'll get to rest in a comfy bed with feather mattresses, down comforters, and soft cotton sheets. Amenities include cable TV, private bathrooms, alarm clock radios, hair dryers, plush terry towels, robes, irons/ironing boards, free wi-fi; and tea, coffee, and cookies. 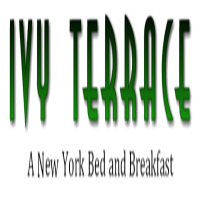 Ivy Terrace bed and breakfast offers its great service and intimate atmosphere, where you can rest your mind and body after a long day of strolling in the hustle and bustle of New York. 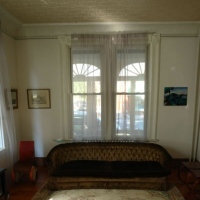 The place has a 6 studio apartment with 15 foot ceiling and a dazzling hardwood floor. The location is very strategic and convenient for it is just a walking distance from the many landmarks of New York, such as Central Park, Metropolitan Museum of Art, St. Patrick's Cathedral and other attractive tourist spots and shopping districts in the city. So come and visit them today and make your trip to New York a memorable experience.